Is there something you are always comfortable making? don't you just love that blog name! think red, white and blue for the 4th of July!! all made of paper with a punch--so amazing! Go check it out on Did Someone Say Party Site blog! and I love your fab ideas! I am so glad that someone else loves wreaths like I do. My daughter has even caught the fever. We have them on our interior and exterior doors. :) There is something warm and inviting about a nice wreath. Oooo, I love wreaths too. And I just love all the wonderful ideas one can find in Blogland...So many very creative ideas. Curious about the last one...made with paper. Will have to go check it out. Thanks for sharing. Thank you for visitng my blog the other day, so I could find you. I love wreaths. I've had to hold myself back from making them because they could easily be on every wall in my house if I didn't hold back. All the wreaths you featured are great, but I really like the one with the bright colored flowers! ♥ that you shared my wreath! Thanks so much!! 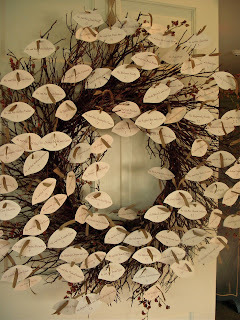 All of these wreaths are so inspiring! We are totally addicted to wreaths too! Thanks for including our paper flower wreath!! It is so easy, you'd be shocked. I think the best part is how easy it is to fix if you mess up - just pull out the pin and start over! 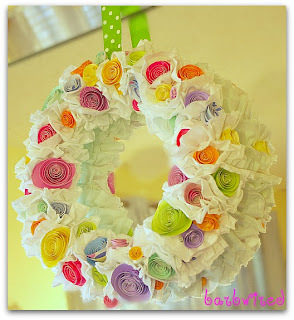 You found some cute wreaths out there in blogland! I just put my Easter wreath up on my door. I should repost my tutorial from last year as it is one of my the top hits on my blog. 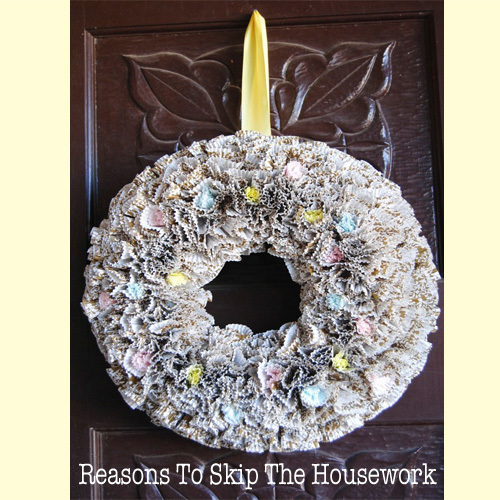 Thanks so much for featuring my place card wreath! It was a big hit at the wedding! Have a great weekend!! 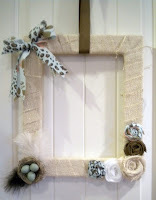 Thanks so much for featuring my Frame Wreath!